He adds that even the best equipment in the world is of no use without the right backup and support. “Things can go well for months and suddenly something goes wrong. That’s when you need service the most and I have been let down in this regard,” he says. This is why Quinton has turned to Kubota for a solution. 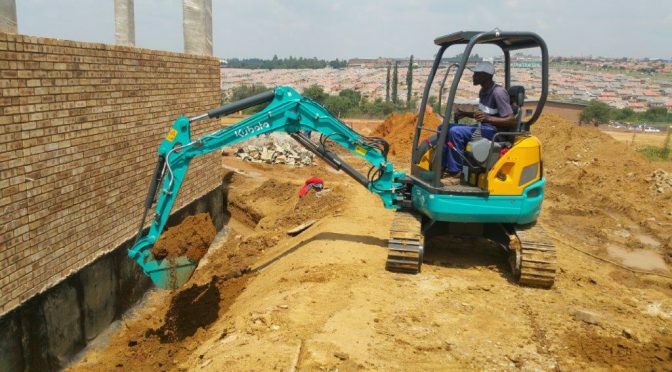 Specifically he bought a Kubota U30 compact excavator and two buckets – 300mm and 600mm – for digging raft foundations and doing a host of other jobs. Quinton has nothing to fear! In its 40 years’ involvement in the compact-excavator industry Kubota has continuously set the standard with technological innovations that have rocked the industry. The integration of the zero boom and tail swing was one such innovation. U30 digging trenches for pipe laying and other plumbing lines. 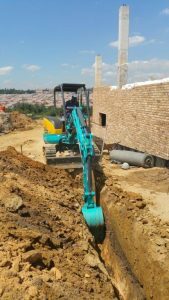 Kubota compact excavators are used the world over in a variety of construction applications including agricultural jobs, plumbing, road-building, municipal works, pipe-laying, landscaping, water conservation projects and more. 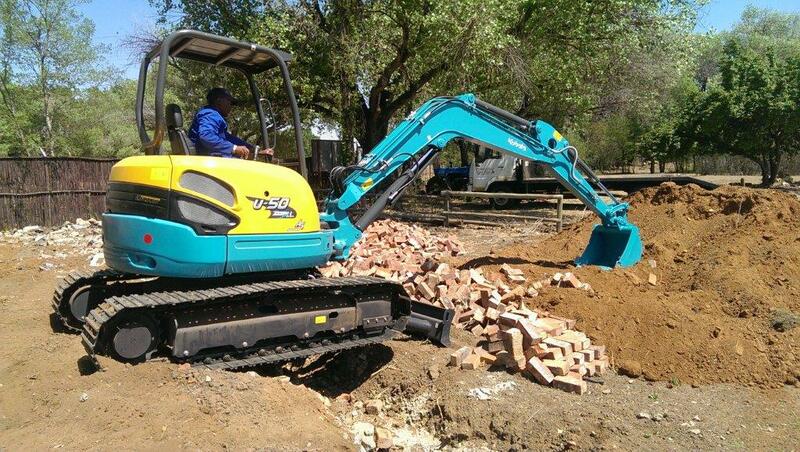 “Our Kubota compact excavators’ characteristics of being tough, reliable, efficient and easy to operate and service, enable them to work in the toughest conditions and take on any challenge,” says Tom Bloom General Manager of the construction equipment division at Smith Power Equipment, Kubota distributors in South Africa. “There is no doubt that Kubota comes with all the right credentials,” Quinton says. “And I have seen for myself that the U30 is a special machine. It is extremely powerful for its size and can work in very confined spaces. The true test will be when I need something urgently from Kubota! But I bought the machine because of the excellent reports I have had of both the quality of the machine and Kubota’s service, so I am sure there’ll be no problems,” he concludes. This article was featured in the CPHA June – July 2017. Previous PostGiddy Up Linhai ATV!Next PostNew Toro Rake-O-Vac vacuum rake at RiverClub!